The beginning of the school year is nearly upon us, and we want to be sure you have access to these documents when you need them, even before school offices open. Our 2018-19 CSD Calendar now reflects secondary late start dates. On late start dates, middle and high schools will start 2 hours later than usual. 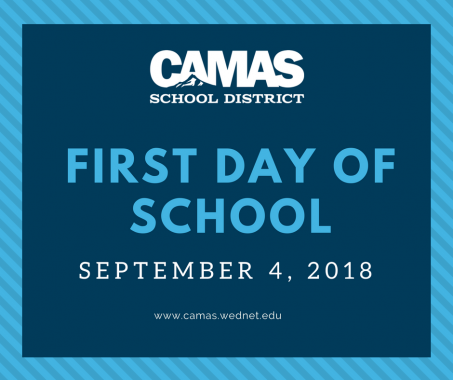 Please Note: Next year, we will no longer be sending reminder emails, phone calls, and texts on late start dates to families for two reasons. 1) Frequency: They are now one day at each occurrence, but they occur twice a month and 2) Pattern: They occur every 2nd and 4th Thursday when school is in session with the exception of November, which, we hope, will be easy to remember. View our Summer Schedule to learn about opening dates, back-to-school events, and more. If your student has a district-issued Chromebook, click here to learn about Summer Care. 2018-19 bus pick-up and drop-off schedules will be available online by Monday, August 6. Remember, beginning next year, school start times for elementary and secondary schools have changed. All Fall Athletes must be cleared through the athletic office. The athletic offices will no longer take any paper registration. Registration is now open and must be completed online through FamilyID before the season begins in August. The actual physical form will still need to be submitted to the athletic office. When completing the registration, please make sure you are entering the grade level for 2018-19, not this year.